Ankara is the capital city of Turkey and the second largest city in the country after Istanbul. It is located in the heart of both Turkey and Central Anatolia. The population is over 5 million. Ankara is the administrative center of Turkey and a huge university town, so it has a large population of government workers and university students. As the national capital, Ankara is home to a large population of foreign diplomats and embassy staff, so it offers goods and services that might be more difficult to find in other Turkish cities including but not limited with theatre, opera, ballet, jazz and modern dance as well as many traditional and modern shopping centers, cafes, restaurants and bars designed for any type of taste and style. Due to its elevation and inland location, Ankara has cold, snowy winters and hot, dry summers, with cool nightly temperatures. Rainfall occurs mostly during the spring and autumn. Ankara has developed its public transportation infrastructure in recent years and increased the number of its metro lines to five, which used to be only two for many years. Kızılay is the heart of public transportation in Ankara and ODTÜ has been well integrated into this network with its own station on the M2 Line. The detailed subway map is available at this link. HAVAŞ Bus to AŞTİ Bus Station or by BELKOAIR Bus to Kızılay Subway Station. You can also take a taxi from the Airport to the ODTÜ Ankara Campus. It costs approximately 150 Turkish Liras. Ankara Train Station has been very recently renovated and is the heart of the Turkish national rail network. 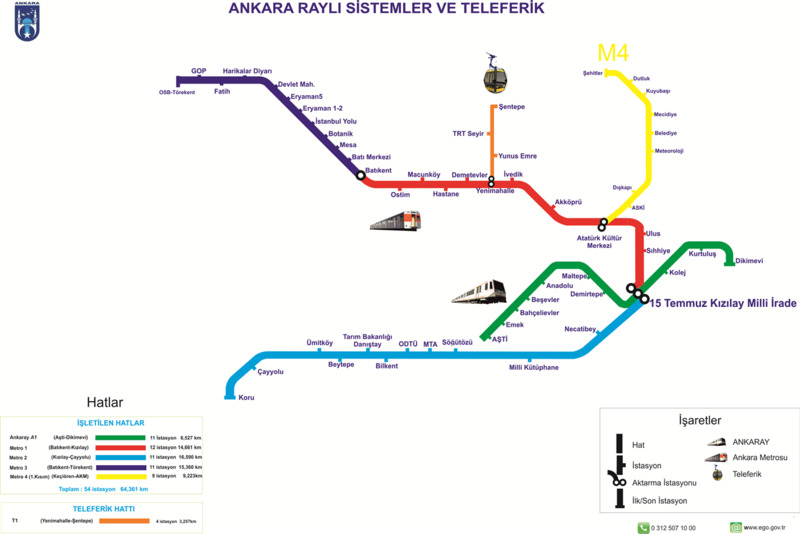 From the train station, you can get to ODTÜ by metro connection starting from Maltepe station on A1 Line (Ankaray). You can also take a taxi from the train station to the ODTÜ Ankara Campus. It costs approximately 50 Turkish Liras. The buses terminate at the bus station (otogar) named AŞTİ (pronounced ush-tee) standing for "Ankara Intercity Terminal". Most of the cities in Turkey have direct buses to the capital of Turkey, and buses are much faster than trains in Turkey, except the high-speed trains from İstanbul, Eskişehir and Konya. From the bus station, you can get to ODTÜ by metro connection. You can also take a taxi from the train station to the ODTÜ Ankara Campus. It costs approximately 30 Turkish Liras.